It’s time to look ahead to next year. Uncertainty over crude oil prices, market volatility and large-scale increases in global supply, all in the context of a hesitant economic recovery in Europe, are just some of the challenges likely to face European petrochemical markets. 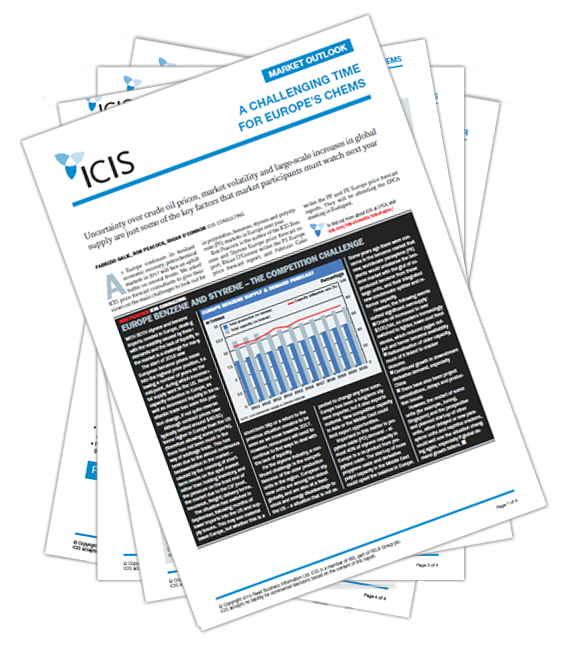 ICIS consultants give their views on what the future may hold for polyolefins, benzene, styrene and polystyrene markets in Europe next year.